Pan Mohamad Faiz, S.H., M.C.L., Ph.D. | Pan Mohamad Faiz, S.H., M.C.L., Ph.D. 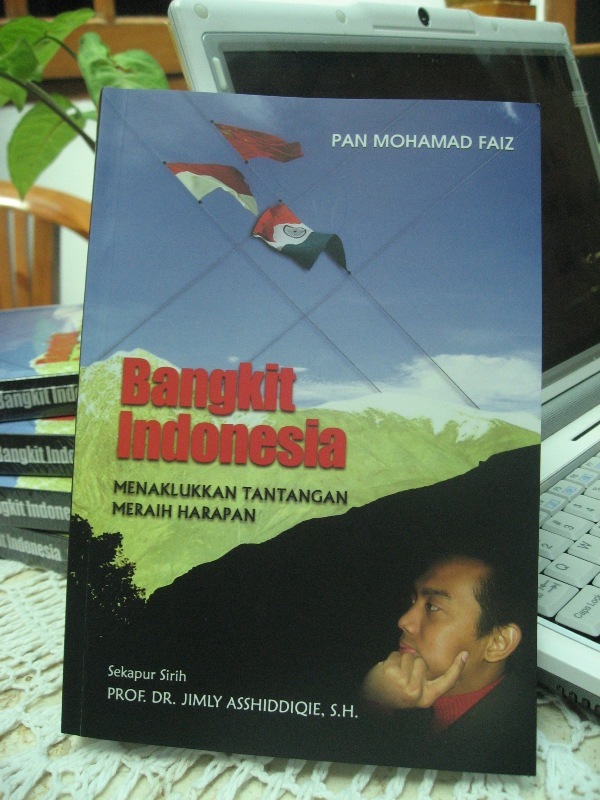 Author Archives: Pan Mohamad Faiz, S.H., M.C.L., Ph.D.
About Pan Mohamad Faiz, S.H., M.C.L., Ph.D.
Pan Mohamad Faiz was born in Jakarta, Indonesia. He earned his PhD on Constitutional Law at the TC Beirne School of Law, the University of Queensland in Brisbane, Australia. Faiz has been working as a Researcher, Judicial Assistant and Speechwriter at the Indonesian Constitutional Court since 2005. He has a Bachelor of Laws degree from the University of Indonesia and Master of Comparative Laws degree, concentrating in comparative constitutional law, from the University of Delhi where he was fully supported by ICCR Scholarship. He has been invited to be a guest lecturer on constitutional law at the Faculty of Law, University of Indonesia and other Indonesian legal institutions since 2008. He was the Executive Secretary of the Expert Council of Indonesian Legal Scholars Association (ISHI) and a Legal Researcher at the Institute of Indonesian Law and Governance Development (IILGD) and at the Legal Center for Law and Information (The CeLI). In 2012 he became a Research Scholar at the Centre for Public, International and Comparative Law (CPICL) and commenced his PhD at TC Beirne School of Law, the University of Queensland. Early 2012 the U.S. Department of State awarded Faiz a premier professional exchange program known as the International Visitor Leadership Program (IVLP) for his outstanding achievement and contribution. Despite his achievement in academic area, Pan Mohamad Faiz is well known as a student activist both in national and international level. He was the President of Student Senate at Faculty of Law, University of Indonesia (2004-2005) and the President of Indonesian Student Association in India/PPI-India (2007-2008). He is also one of the founders of “Forum Lintas Generasi (FLG, Depok), Overseas Indonesian Students Association Alliance (OISAA, Sydney), and Institute of Indonesian Law and Governance Development (IILGD, Jakarta). Faiz also served as National President of Indonesian Students Association of Australia (PPI Australia) and Coordinator of Overseas Indonesian Students Association Alliance (PPI se-Dunia).